This book review is provided as part of the Hade’s Disciples blog tour, however, the standards and scrutiny applied to this review are no less than those given to any other work presented through the views of The Rage Circus Vs. 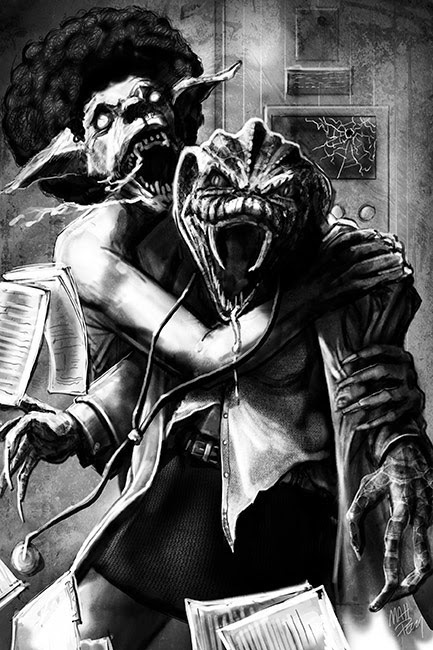 The Soulless Void, your blog for all things horror! STOP! Before you read this review, you may want to read Poseidon’s Children by Michael West. While I aim to keep all reviews spoiler-free, Hade’s Disciples, the book covered in this review, is the second novel in the Legacy of the Gods trilogy. While I promise no spoilers for Hade’s Disciples, I am unable to make the same promise regarding Poseidon’s Children as I am writing about the sequel in this post. Done? Okay, you may proceed. You still haven’t read Poseidon’s Children and refuse to do so before reading this post? Oh well, can’t say I didn’t warn you. Have you ever read a book that left you thinking that the author must be in on some great universal secret? Have thoughts like this crossed your mind as you sat reeling from page after page of amazing description of things not of our everyday world that are written as if the author had actually seen them in person? They must have experienced the terror themselves. They had to have watched the horror unfold before their very eyes and somehow survived. Could there really be any other explanation for how a human being could envision such monstrosities and present them on the page with enough vivid description to make it all seem plausible that these things could really exist? In the case of Michael West and the creatures found within the pages of Hade’s Disciples, I hope for all our sakes that West is just that damn talented! “Terrifying creatures exist all around us, hiding in plain sight. Ancient. Deadly. They gather in secret, conspiring, dreaming of nothing less than humanity's destruction, and their numbers are growing. Earl Preston knows the danger all too well. After tangling with a horde of mythological sea monsters in Colonial Bay, he has been tasked with finding these beasts and exposing their plans whatever they may be. But Earl is not the only one with a mystery on their hands. 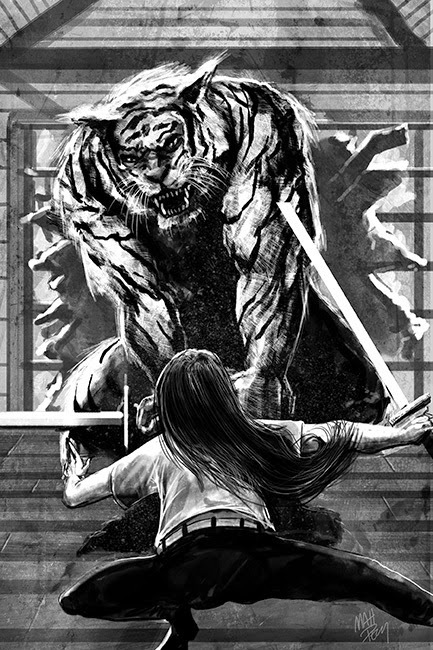 At the very top of the world, Carol Miyagi has stumbled onto an artifact from Earth's past, something magnificent held captive in a prison of ice and snow. Now, Carol and Earl must work quickly to decipher the will of the gods-a plot that defies imagination-and to stop their followers from carrying it out. They thought the nightmare was over, but they are about to discover that the horror has only just begun.” (Amazon.com). Hade’s Disciples picks up right where Poseidon’s Children, the first book of the Legacy of the Gods trilogy, left off. Earl Preston has left the Coast Guard and now tracks the creatures he first encountered in Colonial Bay as a part of Homeland Security. Carol and Alan believe that they have left the terrors of the past behind them, but discover they are tragically mistaken as they find themselves pursued by things from their past. From city streets to dangerous mountain tops, no part of the world is safe from the perils that will befall mankind if Hade’s Disciples are successful. Michael West creates a harrowing adventure filled with splendor and terror in equal parts that will leave you flipping pages and staring in disbelief when the final page is turned. The visual images of the action and the horror are not the only thing to come to life through West’s master story telling. The characters seem to jump right off the page and take on life as you read. This is another reason why any reader attempting to pick up Hade’s Disciples should first read Poseidon’s Children. It is not that you cannot understand the story without having read the first book in the series, although many of the references will be somewhat confusing without this prior knowledge of what came before in the story. The larger issue is the character development that takes place throughout the series. Each one of West’s characters grows throughout the books as their experiences interact and, at times, come into conflict with their past experiences and preconceived notions about the world around them. To miss out on this development through the books, which are expertly weaved into one large story, is to miss out on one of Michael West’s greatest strengths as a story teller, the strength of providing us with characters about whom we actually care! Action, horror, vividly described monsters, life-like characters, what more could one ask for in a novel? In the case of a novel by Michael West, you can also expect a well-researched and carefully assembled mythology. Michael West blends ancient Greek mythology with other history from around the world and gives it a twist all his own. His attention to detail in crafting the back story of the clans of creatures in his Legacy of the Gods trilogy is nothing short of astounding. West clearly sets himself apart from other lesser-skilled writers as a professional in his piecing together of the lineage and the motives of the characters that creep onto his pages. While there is definitely a certain Lovecraft feel to West’s work, there is not a moment where he lapses and allows it to be anything but his own. 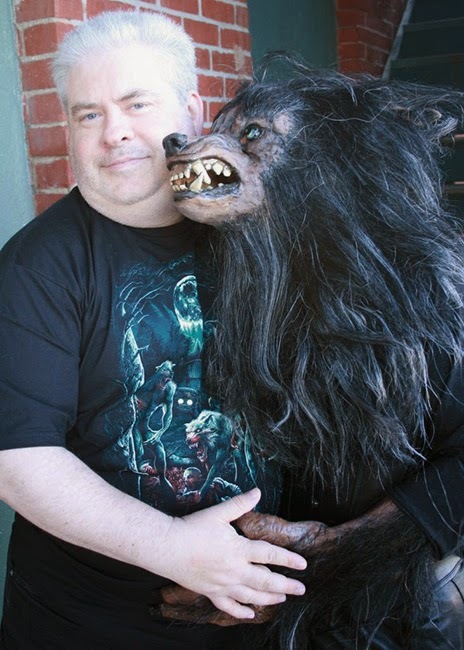 Although his creatures may at times be familiar to us, such as werewolves and yeti, West makes sure that they are still something that we have never quite seen prior to reading his work. Overall, West has given us another superb addition to his list of written work. My only complaint about this novel just highlights another strength of this amazing story teller. My complaint is likely the same as every fan of this series to date. The cliffhanger at the end will leave you staring dumbly at the last page, hoping, wishing that you could will more story into existence! West, yet again, proves that he is a master story teller in his ability to leave us wanting more! I think my reaction to the ending of Hade’s Disciples is best summed up with a graphic I saw on Facebook shortly after the book’s release. 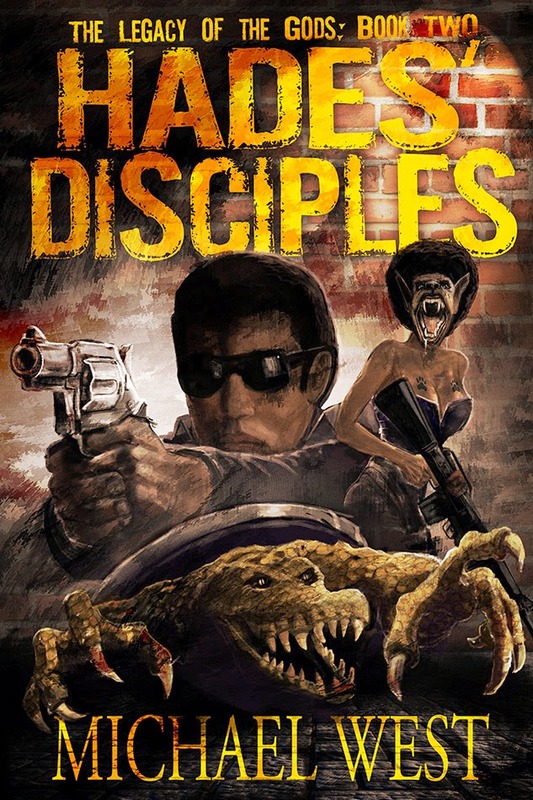 Despite the gargantuan cliffhanger at the end of the novel, if you are a fan of horror, you need to read Michael West’s Hade’s Disciples. So, let’s take a look at the Rage Circus breakdown! Overall – 4.7/5 – READ THIS BOOK NOW OR YOU WILL BE MISSING OUT ON A STORY OF YETI-LIKE PROPORTIONS!! 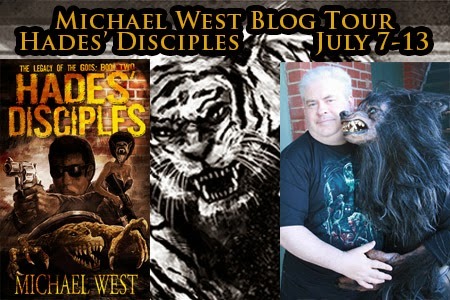 About the author: Michael West is the bestselling author of Cinema of Shadows, Skull Full of Kisses, The Wide Game, Spook House, and the critically acclaimed Legacy of the Gods series. He lives and works in the Indianapolis area with his wife, their two children, their turtle, Gamera, and their dog, King Seesar.